BleachHouseLibrary.ie: #IrishFictionFortnight - Day 11 - "The Dress" by Kate Kerrigan. Review and Giveaway. 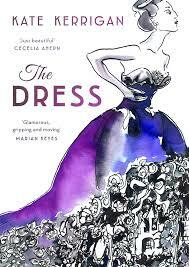 #IrishFictionFortnight - Day 11 - "The Dress" by Kate Kerrigan. Review and Giveaway. Thanks to the author, there is a paperback copy of this beauty to giveaway as part of #IrishFictionFortnight. Just enter via rafflecopter link below to be in with a chance of winning. Good Luck! 1950s New York and one of the most beautiful women in the city is on the hunt for a dress. Not just any dress, one that is unique, alluring and awe inspiring. The hope is that the right dress could save her marriage. For Joy, beauty has always been part of her life. Blessed with looks, money and breeding, life has always been plain sailing. But lately things are not as straight forward. She finds herself needing a drink to help her get through the day, finds the walls of her fifth avenue home closing in around her and her husband drifting away for no obvious reason. A chance encounter with a talented young designer sets a plan in motion. The perfect party, the perfect dress and the return to the perfect marriage. This is Kate Kerrigan's first novel with Head of Zeus and what a way to kick off! Using her talent for writing historical fiction, and blending it with a current timeline, this novel is pitched perfectly for the reader who wishes to escape to another world. There are actually a few worlds rolled into the this; 1950s New York, 1930s Ireland, Present day London, Miami and Ireland, all with their own tales to tale. Lily is a vintage fashion blogger and while researching images for her blog, she stumbles across a photo of Joy in an outstanding, intricate dress which blows the blogger's mind. As the woman also has the same surname, Lily delves some more and discovers they are loosely related. The photo inspires Lily to dust down her dressmaking equipment and re-create the dress. The narrative shifts from time and location with ease and there is a softness about the overall story that remains throughout. While there are plenty of design and dress making moments in the novel, it is written in such a way that the reader is not overloaded. The big selling point of The Dress is very simple: imagination. The descriptions of New York in its Hey Day, the dresses, the dinner parties, the cocktail hours and the need for a drinks cabinet in the drawing room. Those days may be long gone, along with women's unequal status (for the most), but that doesn't mean we can't slip into these women's marabou slippers, and lives, for a bit. Look at the success of the TV show, Mad Men. Don Draper and fashion to die for. Simple. The imagination is also used to bring us on fashion shoots in 2014 Miami and lace-hunting trips to rural Ireland. Lily has a part to play in all of this, but it is Joy and Honor who remain to the forefront. Two very different women, from immensely different backgrounds, they somehow find solace in each other's company and form a special bond while creating the masterpiece. But what happens when it's finished? Can their friendship withstand the aftermath? 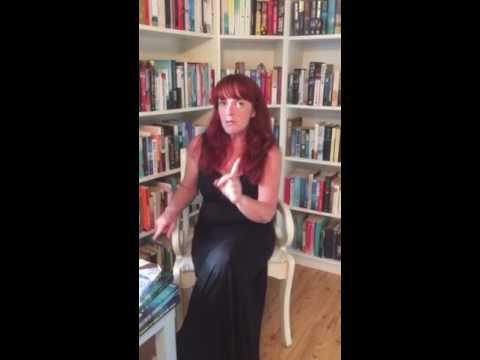 Kate Kerrigan is an author living and working in Ireland. Her novels include the Recipes for a Perfect Marriage which was shortlisted for Romantic Novel of the Year and has been translated into 20 languages, and New York Times bestseller, the Ellis Island trilogy. Kate began her career as an editor and journalist, editing many of Britain's most successful young women's magazines including more! and Just Seventeen magazine under her birth name Morag Prunty, before returning to her native Ireland in the 1990's. She writes a weekly column in the Irish Mail about her life in Killala, County Mayo - and contributes regularly to the RTE radio program Sunday Miscellany. The Dress is published by Head of Zeus and is currently available in ebook format, with the paperback release on 27th Aug 2015. I love this cover !! Naeem Khan, I adore his glittery gowns. Sarah Burton at Alexander McQueen - I loved the Duchess of Cambridge's wedding dress so I know she'd design something amazing! John Galliano, i love Christian Dior & he carries on the legacy, classy & chic. Good question, that's really tough. I'd say Manoush and then let her design an amazing gown. Her clothes are so pretty. "Asking For It" by Louise O'Neill. "Miss Emily" by Nuala O'Connor. "About Sisterland" by Martina Devlin. "Pretty Baby" by Mary Kubica.